Your opinion matters. 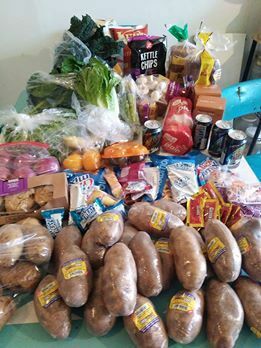 Leave A Review Or Edit This Listing for Compassion Food Bank (Compa). A NON QUALIFYING FOOD BANK for the "hard working middle class" Everyone welcome We distribute once a month in you area and do not do home deliveries Distribution each 3rd Saturday of the month from 10 am to 1pm Provide healthy foods, drive up and we put in your car... call for more information we are donation funded only and do not receive help from the government. We always need more information on our pantries. If you know of any details, volunteer information, website, hours or more description information about Compassion Food Bank (Compa) please add a comment (below the map on this page), with information. We will then display this for all visitors on this page.